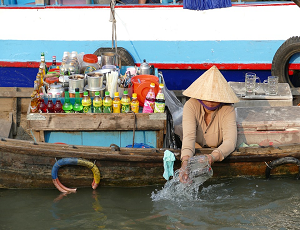 With a rapidly expanding middle class and massive tariff reductions from free trade agreements (FTAs) expected to come into effect in the coming years, Vietnam is poised to experience significant growth in its beverage industry. By 2020, Vietnam is projected to consume 4.5 billion liters of beer, 350 million liters of alcohol and spirits, and 8.8 billion liters of other beverages per year. Growth in the beverage sector is underpinned by the rising living standards of Vietnamese families, and the industry is generally underpenetrated in comparison to the country’s Asia-Pacific peers. Indeed, on a per capita basis, spending on packaged foods and beverages in Vietnam is still relatively low compared to its emerging market counterparts, demonstrating the significant growth potential of the market. According to Euromonitor, per capita expenditure on food and non-alcoholic beverages is projected to have reached US$276 in 2016. Future growth is expected to be driven by the continuing change in urban consumer lifestyle as they place a higher importance on convenience, safety, and health. 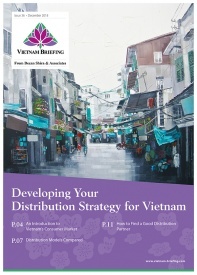 In addition, rising consumption of branded fast-moving consumer goods (FMCG) products in rural Vietnam will drive market growth as rural consumers gradually gain better access to products backed by higher levels of disposable income. 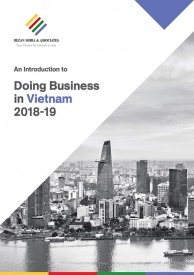 In order to understand how investors will benefit from the tariff reductions contained in the following FTAs, it is essential to consider Vietnam’s rising middle class. 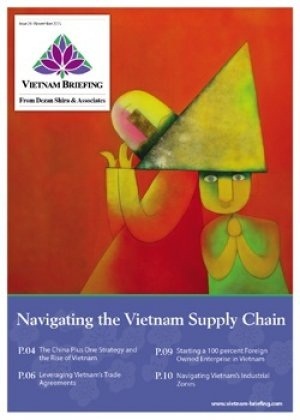 Historically, Vietnam has relied primarily on agriculture as a source of output, but has shifted towards a more market-oriented and manufacturing-driven economy since the initiation of the “Doi Moi” (renovation) socialist-economic reform in 1986 and since joining the World Trade Organization in 2006. 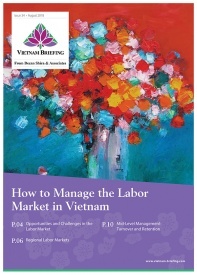 These market liberalizations have helped Vietnam become one of the fastest growing economies in the region, boasting a compound annual growth rate of 7.8 percent between 2005 and 2012. The Vietnamese population has benefited from this strong economic growth, and by 2020, Vietnam’s monthly income per capita is projected to increase to VND15 million (US$714). Studies done by consultancies such as the Boston Consulting Group have projected that with this rising middle class there will not only be an increase in consumer spending, but also in consumer behavior and preferences – including a greater preference for branded retail goods and foreign products. Currently, the top supply markets for beverages imported by Vietnam are varied. Three of the top 10 are from the surrounding ASEAN region (Thailand being number one, Malaysia fourth, and Cambodia tenth), while the rest come from East Asian and Western countries. It is forecasted that due to trade agreements between Vietnam and the EU, the U.S., and other ASEAN countries, along with other tariff reductions already in effect, Vietnam’s beverage market will see more increases in the coming years. The Vietnamese government has pursued several free trade agreements to promote both regional economic integration and deeper ties with Western countries through enhanced economic, trade, and investment relations. Through these agreements, the Vietnamese government hopes to raise living standards, promote economic growth and stability, create new employment opportunities, and enhance the competitiveness of companies by providing a legal framework for trade and investment relations. 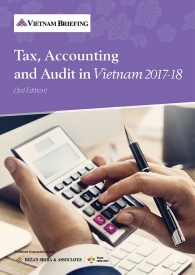 It is expected that within the next eight years that there will be no tax on the import of all beverages contained in the EVFTA agreement between Vietnam and the EU. All beverage goods imported from and exported to Vietnam will be tax free for investors and consumers alike. While Vietnam has considerable trade links with France owing in part to their colonial history, trade with other EU members in the beverage industry lags behind. Because the TPP is still waiting ratification, the following tariff reductions on beverages will take longer to be fully implemented. However, once put into effect, tariffs on beverages will decrease to zero percent over a period of 10-12 years. Australia, Brunei, Canada, Chile, Japan, Malaysia, Mexico, New Zealand, Peru, Singapore, and the U.S. are all signatories to the TPP, the ratification of which would further widen Vietnam’s integration into the global economy. 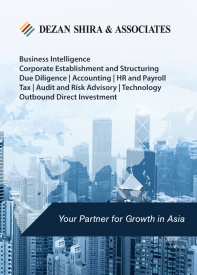 The AFTA is one of the strongest trade bloc agreements within ASEAN due to its emphasis on attracting foreign direct investment into the region and promoting the creation of a single common market. The AFTA seeks to give ASEAN a competitive edge as a production base through decreasing tariffs within the region to between zero to five percent. 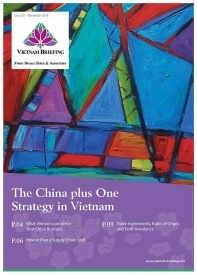 The goals of the previous two FTAs is to reach or surpass the AFTA rates in the near future. There are several subsectors in Vietnam’s beverage industry that provide intriguing opportunities for foreign investors and exporters looking to capitalize on the various FTAs coming into effect. Vietnam’s soft drink and fruit juice market in particular has stood out for its impressive growth in recent years. Between 2009 and 2013, Vietnam’s bottled soft drink industry grew at a rate of 19.4 percent, and is projected to maintain a 14.2 percent growth rate from 2014 to 2018. Despite rapid growth, there is still significant room for further expansion. Vietnamese only consume an average of three liters of bottled soft drinks per year, compared to 50 liters per year in the Philippines. In addition to soft drinks, bottled teas, sports drinks, and milk represent growing subsectors of the beverage industry, particularly for a population that is increasingly health conscious. In 2015, Vietnamese consumers ranked health as their most important concern behind only their job and the economy. Overall, Vietnam’s non-alcoholic beverage market increased by 9 percent in 2014 to reach US$3.64 billion. There are also compelling opportunities in Vietnam’s alcoholic beverage market. While the beer market has traditionally been dominated by state-owned enterprises, the industry has been undergoing liberalization in recent years and foreign brands such as Carlsberg, Heineken, and Sapporo have been aggressive in attempting to penetrate the market. However, competition in Vietnam’s beer industry is fierce, with domestic brands commanding the low-end segment and foreign brands competing for the rest. For other types of alcohol, wine in particular stands out as a growth sector. Among Vietnam’s young and rising middle and upper classes, foreign spirits and wines are preferred to domestic ones, both for their perceived higher quality and, more importantly, for the social status they convey. As the implementation of various tariff reduction schedules included in the already ratified EVFTA and AFTA continues and the soon to be ratified TPP will further increase access to investment, substantial opportunities exist in Vietnam’s beverage industry. With a rapidly expanding middle class, Vietnam is an increasingly intriguing investment option not just for its manufacturing advantages, but also to access the country’s emerging consumption market. However, foreign investors must grapple with stiff domestic competition and the still limited spending power of Vietnamese consumers when establishing a foothold in the market.